Bhutan, the land of Thunder dragon and many smiles is one of my favorite places to travel to. It is one of the countries that I want to visit again despite exploring the country for 2 weeks. The country’s beauty is no longer a hidden secret now, and it is one of the most visited countries in Asia. 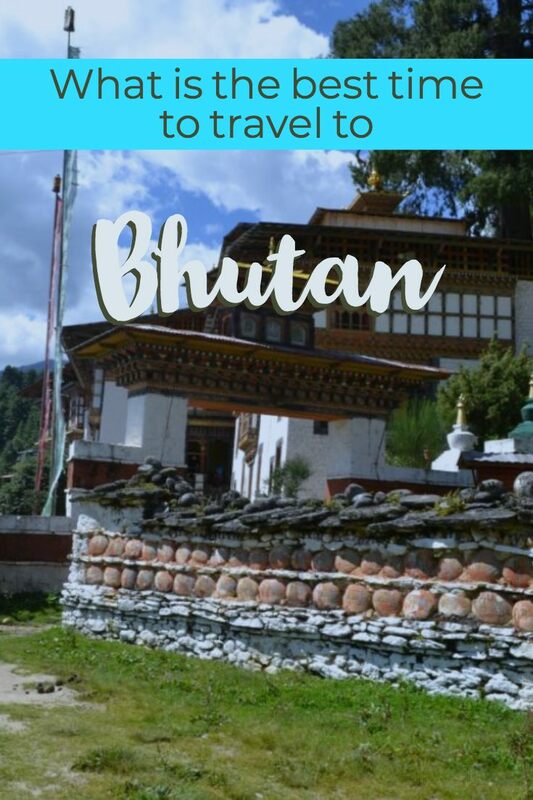 The number of Indians traveling to Bhutan has also increased since it is one of the cheapest and the beautiful countries to visit! I get specific questions on traveling in Bhutan, one which is the best time to travel to Bhutan. So I decided to put it on a blog post finally. The best time to visit Bhutan actually depends on what you are looking for. 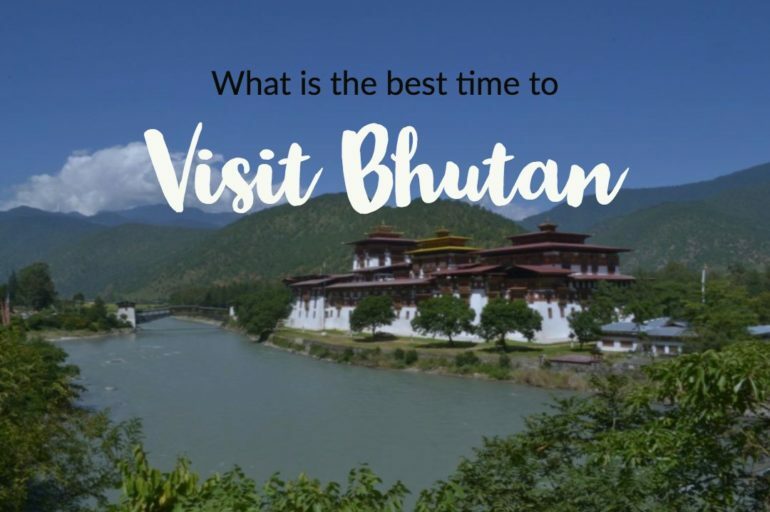 Considering the regions, seasons, months and the festivals in Bhutan, this is how you can decide the best time to visit Bhutan. 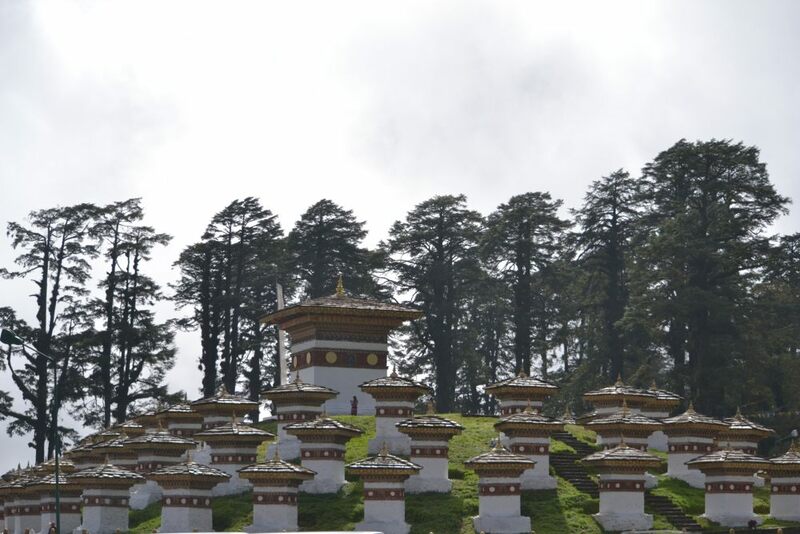 Read ahead to decide yourself on when to visit Bhutan! Bhutan has a diverse climate throughout its regions. Overall, the climate experiences tropical/sub-tropical climate, but winters are severe in certain regions, especially in the northern Bhutan regions. During the summer which lasts between March to May, the weather is very pleasant with the Himalayan wildflowers blooming everywhere. The maximum temperature could reach 30-degree Celsius. Sometimes there could be light showers which are good to enjoy. During the monsoon from July, August and mid-September, the rains are heavy and it pours a lot. The winter begins around the end of September and lasts till March. November, December and January are the coldest months in Bhutan, with the temperatures dropping to negative in many places at nights. The snowfall in Bhutan happens also during these months. So based on the above facts, you can see that the months of March, April, May and the months between September, October and November are the best months to visit Bhutan. October is also the month when Bhutan witnesses the maximum number of international travelers to its country. Spring and the Fall are the best months to visit Bhutan. From March to May, the flowers are in full bloom, and you can spot the colourful Rhododendrons adorning the hills and the valleys. It is a riot of colours along with a pleasant weather making it a visually stunning time to be in Bhutan. Similarly, before the start of the winter or during fall, from September to late November is also the other season when the tourists are in high numbers, making it the good time to travel to Bhutan. So the high seasons or the ideal time to visit Bhutan include the months of March, April, May, September, October, and November while the low season months include the months of January, February, June, July, August, and December. 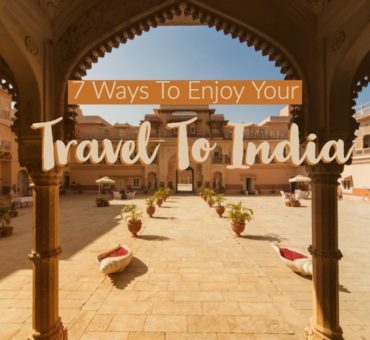 Recommended read: How To Travel to Bhutan From India? Bhutan is a country with the most forest cover in the world, with over 71% of the area covered in forests, which are classified as reserve areas prohibited for a living or any civilization. Also, the upper regions or the northern regions of Bhutan consist of the Himalayan mountains covered in snow, glaciers and valleys of inhabitable hills. These leave Bhutan with only the lower regions to travel and explore. 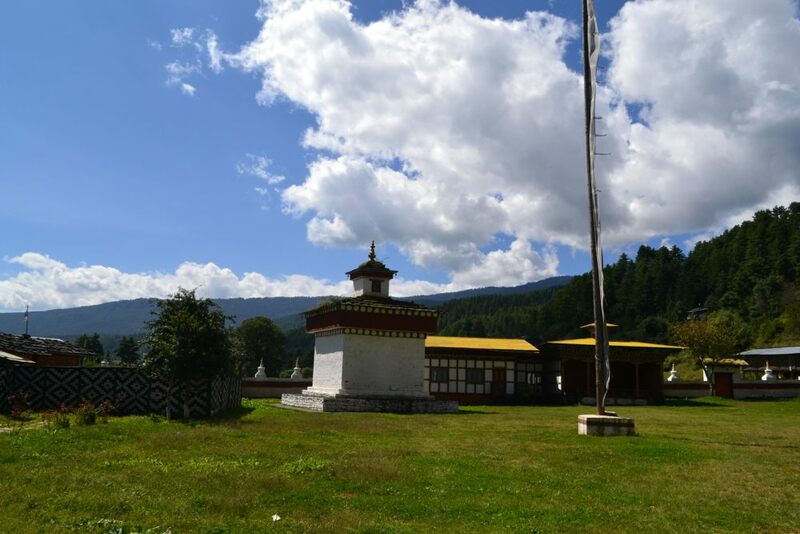 Here is what you can expect to decide the best time to visit Bhutan region wise. The south-western region of Bhutan roughly includes Paro, Thimpu, Haa Valley and Punakha. If you want to witness these places in all colours, with the fruits and the flowers in full bloom, head there between March and May, especially to Paro and the Haa valley. October is when the country celebrates its main festivals, and the capital of Bhutan, Thimpu is an awesome place to be during this time. Also, since it is just after the monsoon, the valleys in these regions look greener at this time. The central-eastern region consists of Trongsa, Wangdue, Gangtey and Bumthang. Gangtey or Phobjhika valley celebrates its Tscehu festival in late November, and this is also the time when the Black-Necked Cranes migrate to this valley. These rare birds migrate from the upper regions of Tibet plateau to the Phobjikha Valley to spend the winter every year. So, visit eastern regions during this time if you are planning to cover any of these. The winter is colder in these regions due to their slightly higher altitude and proximity to the snow-capped higher Himalayas. But that’s also what makes it a great time to witness snow and the gorgeous views of the peaks in Trongsa. 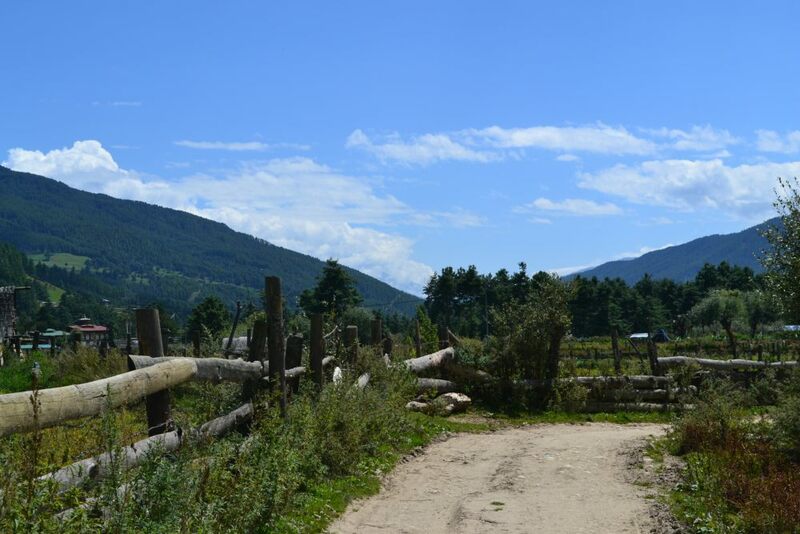 Head to Bumthang in October or November as the weather is perfect and the fields are the greenest! Bhutan’s culture comes to full display and in glory during the fall. 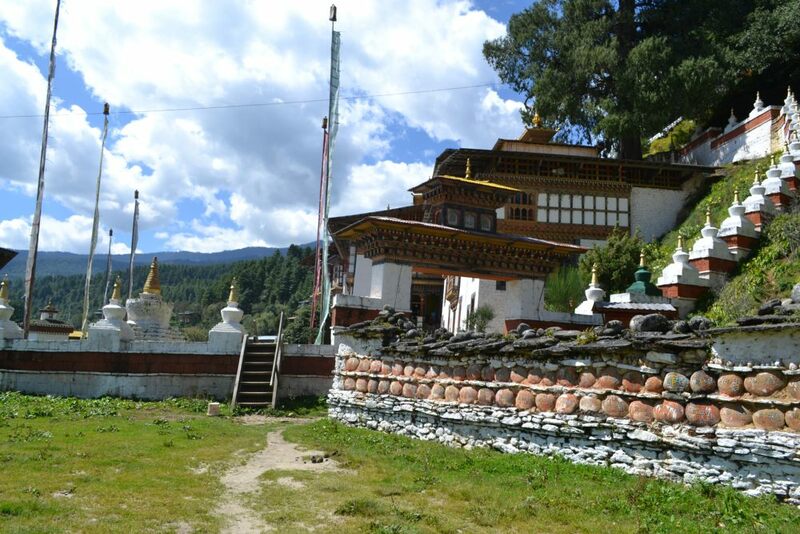 September, October, and November are the best months to see some of the country’s most important Tshechu festivals including Thimphu Tshechu, Wangdue Tshechu, and Jambay Lhakhang Tshechu. Read about all the festivals of Bhutan in detail in this post, which is a great time to travel if you are the traveler looking to know about Bhutan’s culture and love capturing everything on your camera! Trekking is a great way to see the beautiful sights of this incredible, less travelled nation. The ideal times to trek in high altitude regions are in March, April, October and November when skies are clear and temperatures are pleasant. If you trek in March and April, you will have an excellent chance to get the lovely views of myriad rhododendrons and may also see wildlife coming out having just woken up from hibernation. For low altitude treks, late November, December, January, February and early March are the best times. If you are not a citizen of India, Bangladesh or the Maldives, you can’t travel in Bhutan independently. The only way to travel in Bhutan for the rest of the world is to book a tour through a licensed Bhutanese Tour Operator. Also, there are minimum daily package rates set by the Bhutanese government for all tours. The minimum daily package rate for the high season is 250 USD per person per day and 200 USD per person per day, where the high season is from March to May and October to December, and the rest of the months falling into low season category. So when did you travel to Bhutan and what did you like the most? If you haven’t been there yet, you should definitely plan your trip to Bhutan now! 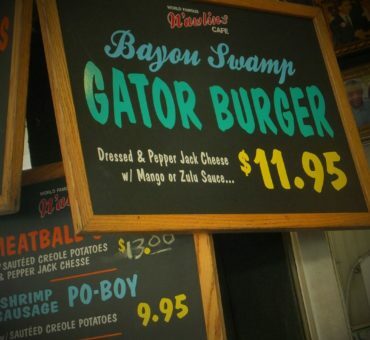 5 Fabulous Holiday Ideas for a Gastronomic Feast!